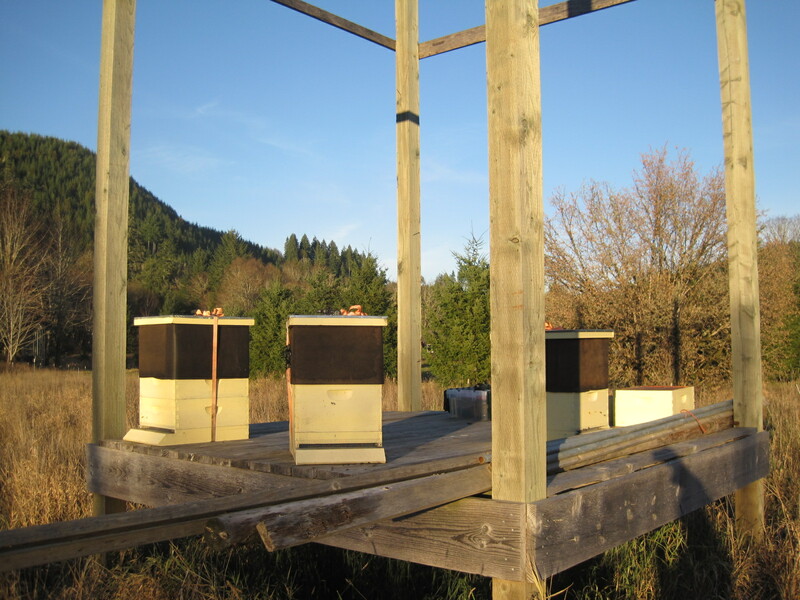 Two weeks overdue, but done at last–my hives are ready for winter. 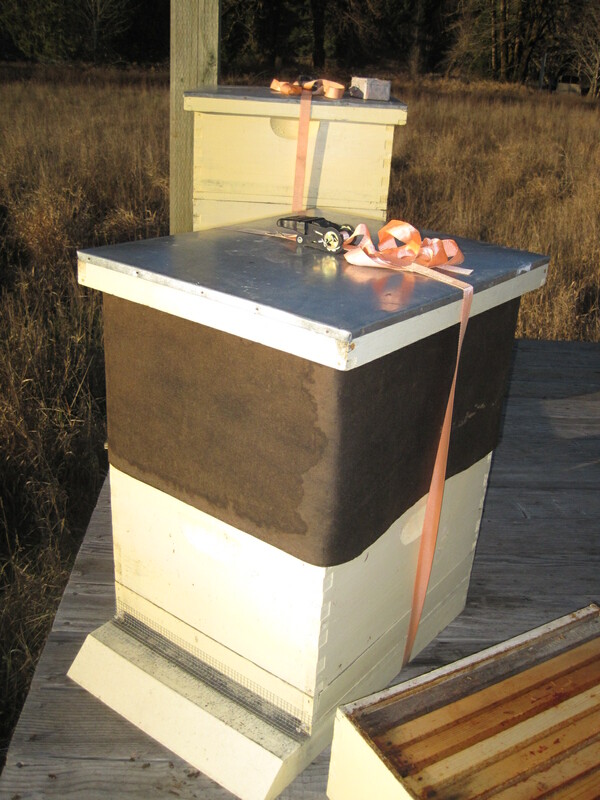 As the weather gets cold, condensation inside the hive becomes a serious threat to colony health. When the respiration of 15,000 bees hits a 20 degree (F) lid, it condenses and drips back into the cluster, wreaking all sorts of havoc on bees and brood. 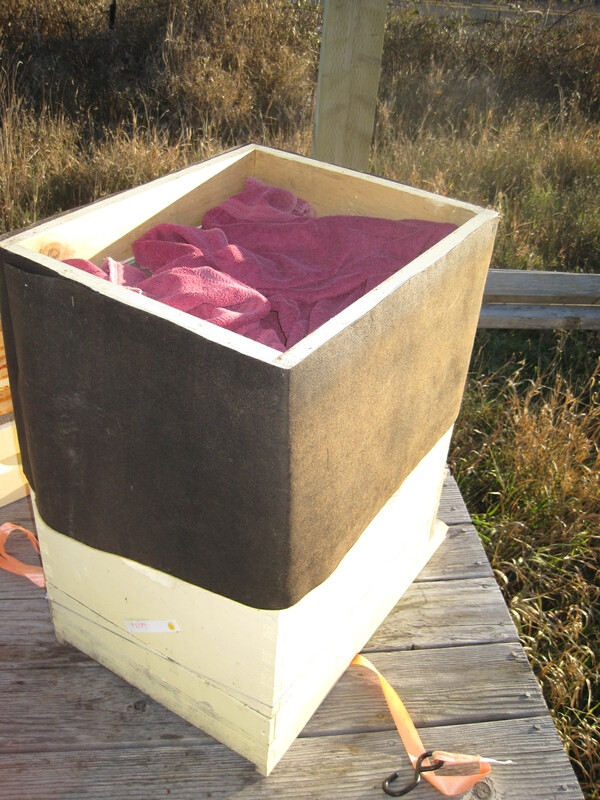 To combat this, many beekeepers install some sort of insulation or absorptive layer between the hive’s inner and outer covers. My personal version includes a screen, a 3 1/2″ tall box and a bath towel. 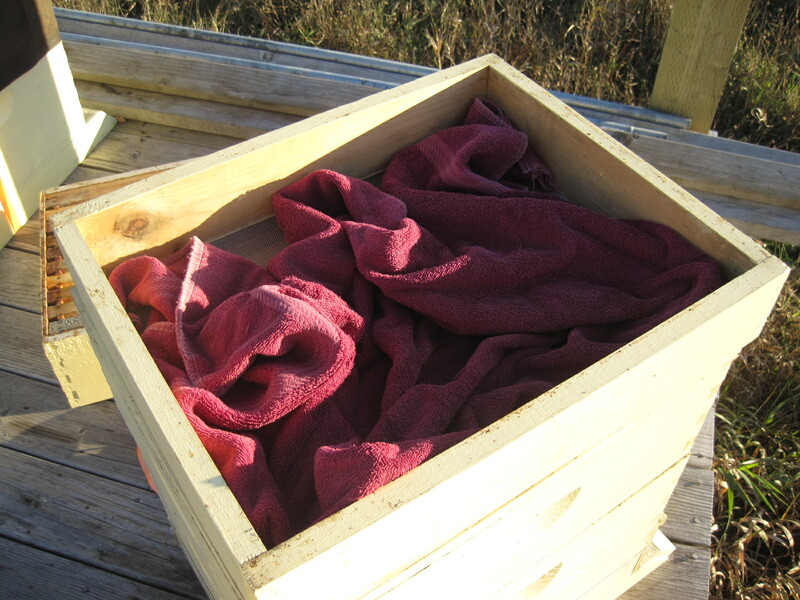 Many folks like to use a ventilated box; my setup requires a towel change every week or two. I prefer this as it gives me an opportunity to check on the bees (heat and hum coming out of the hole in the inner cover means they’re still alive, hurrah); it also gives me my bee fix during a time when a “just curious” peek could prove harmful to the bees. 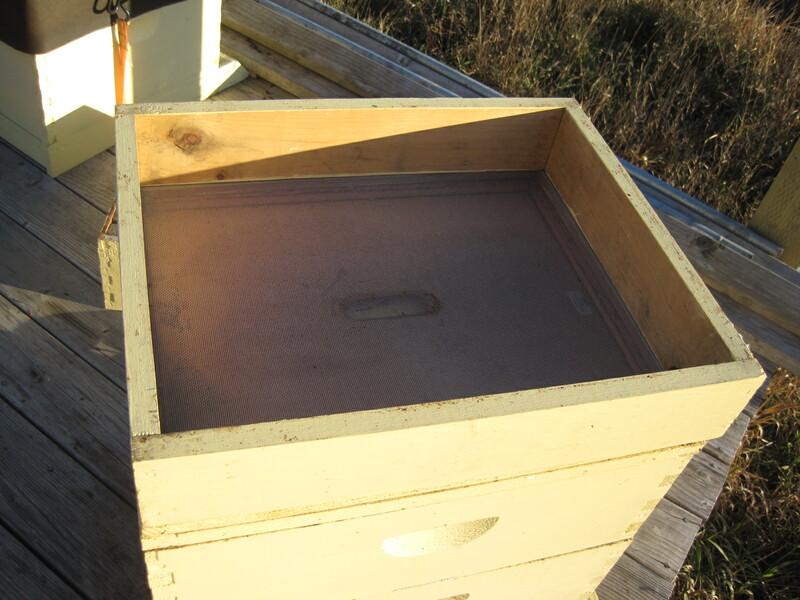 The other part of my winter preparation includes attaching a piece of 13″x 78″ around the upper part of the hive. 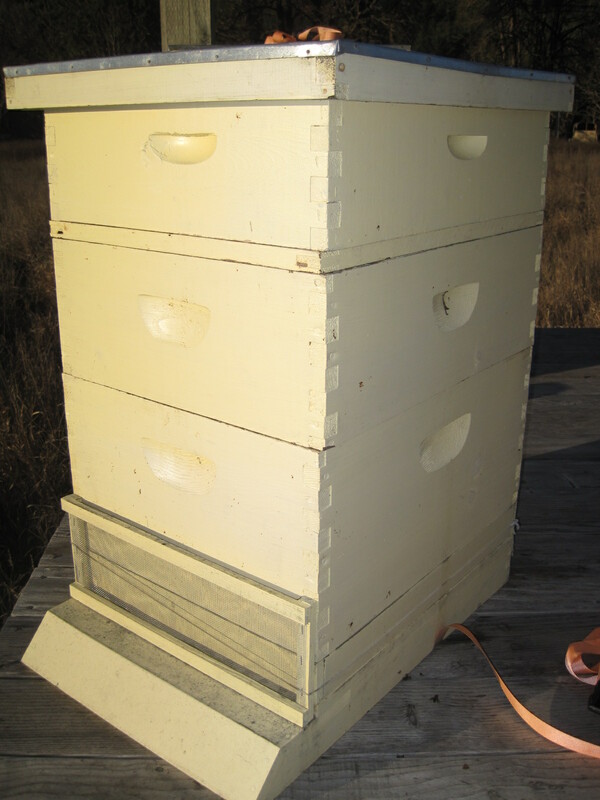 I read an intriguing explanation of winter cluster dynamics in Kim Flottum’s “Better Beekeeping.” He asserts that the heat of the cluster creates a column of warm air that rises through the hive. This column of warmer air delineates the bees’ foraging area inside of the hive. If the solar heat absorbed by the black tar paper raises the temperature of the hive by even a few degrees, the width of the column increases, enabling the the bees to access more of their stores during the day. I tried this for the first time last year. Although I can’t be sure if it made a difference in colony survival (I did not have a control group), I noticed a lot fewer moldy outer frames when I inspected in the spring. The wrap also effectively waterproofs the seams between the screen and towel box where the bees don’t have access to propolize. 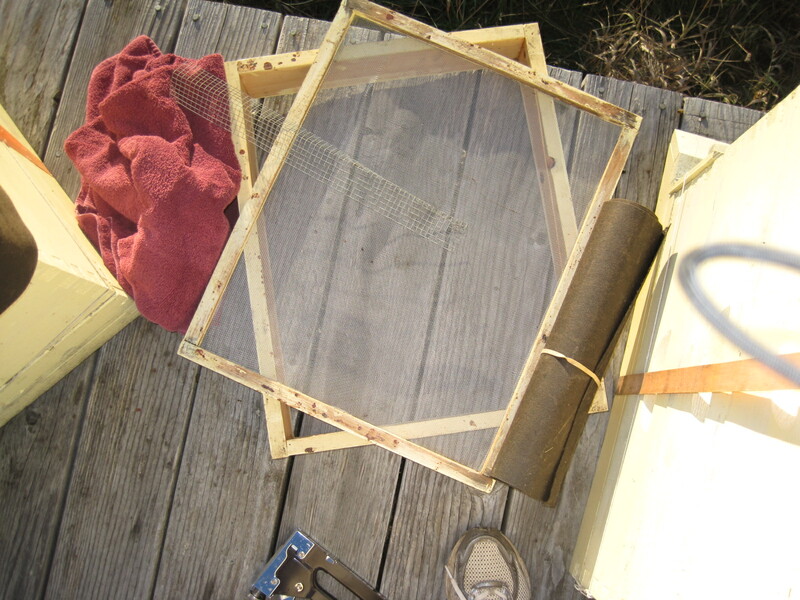 Other winter adjustments include removing superfluous hive bodies and swapping out the robber screen for a mouse guard.